Can Gymnema Sylvestre Stop Sugar Cravings? Does gymnema really work to curb your sweet tooth? Studies show its one of the best herbs to stop sugar cravings. Gymnema sylvestre may help you with weight loss and sugar cravings. If you struggle with a sweet tooth, you may have heard of the sugar-buster herb, gymnema sylvestre. This fascinating herb contains gymnemic acids which, when placed directly on your tongue, actually fill the sugar receptors in your taste buds, effectively blocking your ability to taste sweetness. Furthermore, researchers believe they may also reduce the intestine’s ability to absorb sugar molecules, reducing blood sugar levels. It’s no wonder this herb is often used as a natural supplement for diabetes. An animal study found that gymnemic acid IV decreased blood glucose levels in diabetic mice by 14% to 60% within 6 hours of administration as compared to the anti-diabetic drug glibenclamide, and it also increased insulin levels. A human study also found an insulin-elevating effect as a result of gymnema’s unique ability to repair beta cells in the pancreas. In diabetics, up to 80 percent of their beta cells aren’t working. Together, these effects may reduce the need for medication. One study looked at 22 people with type 2 diabetes. Patients were administered 400 mg of gymnema per day for 18 to 20 months. At the end of the study, 16 of the patients reduced their traditional oral medications and five had ceased taking them. The herb may also play a beneficial role in weight control. Several studies suggest using a gymnema sylvestre dosage for weight loss or anti-obesity aid. [2,4] It offers several benefits. Curbs cravings, appetite. 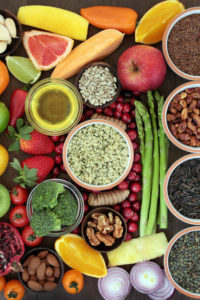 Not only does the herb reduce the sensation of sweetness, which can help reduce sugar cravings and lessen the allure of high-sugar and high-calorie foods, but it may also curb appetite in general. Researchers examined the effect of gymnema on people who were fasting. Those who took the herb one hour before being offered food ate less than the control group. Lessens weight gain from high-fat diet. In one study, rats were given high fat diets to induce obesity. Rat who were given a saponin-rich fraction of a gymnema sylvestre extract ate less and had significantly decreased body weight. Benefits cholesterol. Research also shows that Gymnema sylvestre improves the ratio of HDL to LDL cholesterol. To try gymnema sylvestre, look for an extract that is standardized to contain at least 25 percent gymnemic acid. Some supplement manufacturers produce an extract standardized to 75%. Clinical studies have looked at gymnema sylvestre dosage of 200 to 400 mg per day. Gymnema sylvestre can cause stomach pain, so take it with food or take three to four smaller doses throughout the day. Don’t take a gymnema dosage if you are pregnant, lactating or allergic to milkweed. Talk to a physician before taking it if you are currently taking anti-diabetic medication as a cumulative blood-sugar lowering effect could be dangerous. A diet high in sugar has been linked to dementia, weight gain, diabetes, osteoporosis, and more, and reducing or even eliminating it from your diet is a worthy goal. 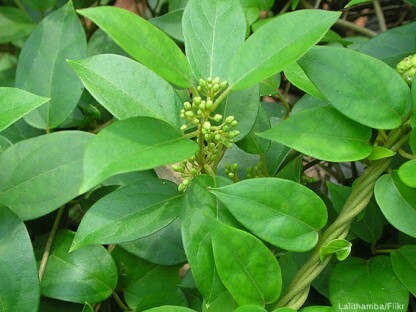 Gymnema sylvestre appears to be an effective tool to curb sugar cravings, assist in weight loss, and improve sugar metabolism by increasing the ability of the pancreas to produce insulin. Have you tried gymnema sylvestre for weight loss? Gymnema sylvestre diabetes benefits? Any other conditions? Tell us about your experience in the comments section below. Originally published in 2014, this post has been updated. Biomed Res Int. 2014; 2014: 830285. J Asian Nat Prod Res. 2000;2(4):321-7.
 iabetes Obes Metab. 2012 Dec;14(12):1104-13. Complement Ther Med. 2013 Aug;21(4):407-16. Crit Rev Food Sci Nutr. 1992;32(3):231-52. Z Naturforsch C. 2012 Jan-Feb;67(1-2):39-46. Int J Clin Pharmacol Res. 2005;25(3):133-44. 2 diabetes, appetite, blood glucose levels, blood sugar, blood sugar levels, cholesterol, dementia, diabetes, diabetic, diabetics, diet, food, glucose, glucose levels, gymnema, gymnema sylvestre, gymnema sylvestre dosage, gymnema sylvestre dosage for weight loss, hdl, how to take gymnema sylvestre, insulin, ldl, ldl cholesterol, metabolism, natural supplement, obesity, osteoporosis, pain, Pancreas, reducing blood sugar, stomach pain, sugar, sugar levels, supplement, supplement for diabetes, sweet tooth, type 2 diabetes, weight control, weight gain. Please email information about where I can purchase Gymnema Sylvestre in the recommended 200-400 mg daily dosage and 25% to 75% concentrate. The first time I learned about this herb was at a weight-loss clinic where it was the supplement that they took they said it was very successful. I can’t name a source but in my research I discovered that it has a molecule 40% larger than sugar which I don’t understand. But it blocks the sugar. So, I started taking it and noticed that my appetite for sugar decreased. My doctor said that I am borderline prediabetic so I think I’ll start taking it on a daily basis. Where can I buy this natural supplement? Where can I find the updated information on this drug. I thought you might be interested in this article on https://universityhealthnews.com: Can Gymnema Sylvestre Stop Sugar Cravings?